Geoff Greenwell B.Ed(Hons), MBA, CEO of 2G Group has been working globally as a facilitator, business advisor and strategic planner for over 30 years. Prior to coming to Canada in 1992, Geoff worked for twelve years in the Middle East, Africa, South East Asia and South America as a senior negotiator for multinational energy companies. Geoff formed the consulting firm 2G Group in 2001 and works collaboratively with a team of expert associates who offer a variety of services to government, Aboriginal and corporate clients. Geoff partnered with the Ecora Group in 2016 and created Aboriginal Capacity Builders Inc. a company dedicated to increasing both human and business capacity in Aboriginal communities. The team’s areas of expertise are extremely divers and include: economic development/business training, facilitation, strategic planning, corporate visioning, marketing, business planning, events management, negotiating and mediation, project management, engineering, forestry, raising financing and land use planning. Geoff has accomplished many unique things in his life and is renowned as a true business visionary for his record of success with projects he has led for clients. Geoff specializes in taking projects ‘from the drawing board’ and bringing them to life. 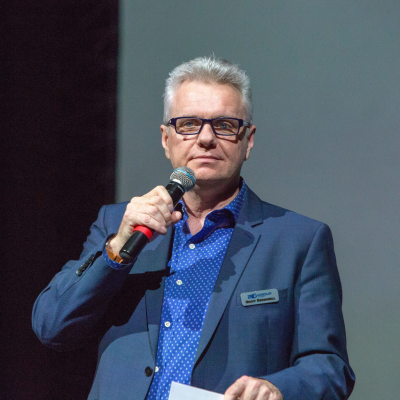 His development of Aboriginal Marketplace Events and the NABOC conference series are ongoing examples of his own unique ideas that he has turned into successful business ventures. He is the consummate networker, always looking to connect people and ideas, and his enthusiasm for creating equitable business partnerships between Aboriginal and private sector business groups rubs off on everyone who meets him. Geoff has worked with over 200 First Nations business groups since 1992 and continues to deliver successful results for clients.